A lost ship. Crew missing or dead. An Illegal experiment. An alien presence. What could go wrong. A 2d top/down sci-fi horror mystery game created entirely on C2 which took four months to complete. here is the screenshot of the game. Looks really good! Just one thing. If it's a sci-fi horror I think you should remove the techno music from the trailer and make it a little more unsettling. With scary ambient noise or something. 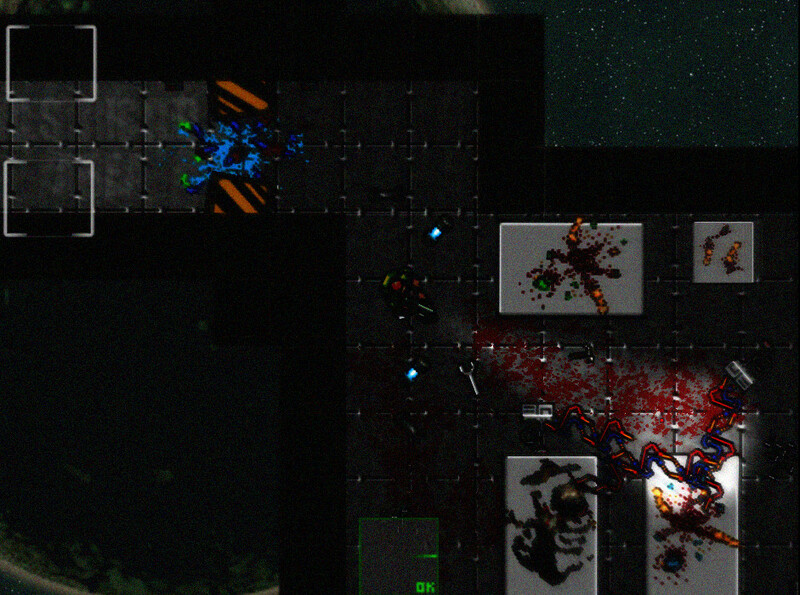 Now it gives you the feeling of a crazy shoot'em up game. And I also think you should remove the text saying "interact with objects" and "keys to open doors". They should not be promoted as cool features as that is something that players just expects to be there anyway. But that is just my opinion. 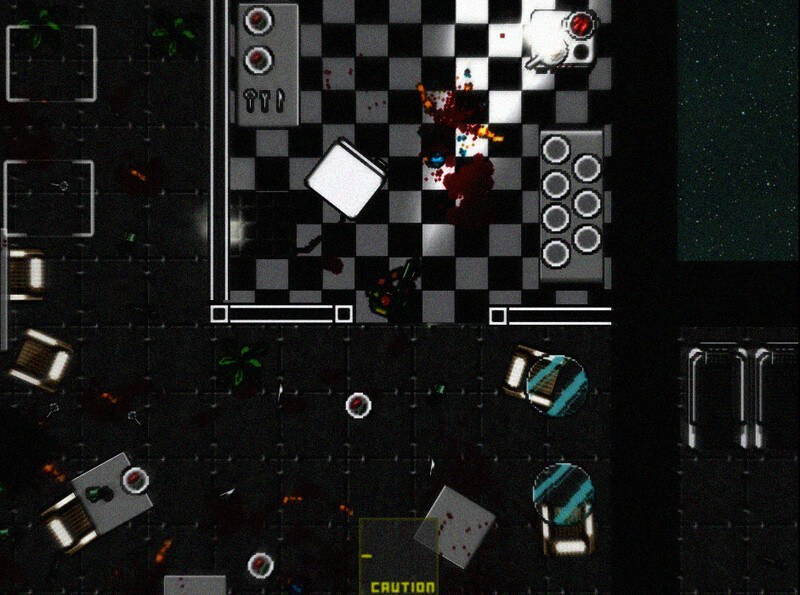 The game looks really nice, almost like a scifi version of Hot Line Miami Well done! Thanks for the feedback. Here is the update youtube without the crazy techno music. One more thing. I think that when your flashlight dies everything should be darker and your LOS should be shorter. Right now you see everything as clear as with the light except the monsters right? This makes it look like the monsters are invisible because all objects are still visible. 0:38 "Something move in there" and should be "Something is moving in there" / "Something moves in there". 0:41 "Something is not right going on here" and could instead be "Something weird/suspicious/fishy is going on here"
But otherwise it looks great. How many different enemy types are you planning to have? Yes, completelly diferent, much better. Music and sound fx has incredible influence in the imersion of a game. Thanks Anonnymitet, will update it. As for the enemy, i only add a few about 3 or 4 if im not mistaken. But will add more for the next sequel of this game. Looks nice. I like the dark feeling but a little bit hard to destinguish some parts. hi tunepunk, yes its dark and difficult to see some parts due to youtube.